Tom Tancredo is the American Constitution Party candidate for Governor. The son of Italian immigrants, Tom Tancredo was born in North Denver. At sixteen he took his first job as a “sweeper” in an amusement park. He returned every summer for ten years and worked his way up to Assistant Park Manager. This job put him through the University of Northern Colorado. Tom is a solid fiscal and financial conservative, with a lifetime 99% voting rating from the American Conservative Union. In addition to immigration, Tancredo has remained vocal on a variety of issues surrounding education, energy and the environment. 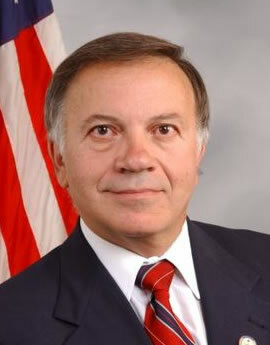 Tancredo served in the State Legislature from 1976 to 1981. He served in the United States Congress representing the 6th Congressional District for ten years and was universally recognized by both sides of the issue as the most vocal opponent of illegal immigration in Washington. In 1999, Tancredo founded the House Immigration Reform Caucus with a handful of Representatives; the bipartisan Caucus had over 100 members while Tom was in office. In 2007, a bipartisan coalition within Congress, led by Tom, to successfully opposed President Bush on an effort to grant amnesty to an estimated 10 to 20 million so called “undocumented” workers. Tom and his wife Jackie have been married for 33 years. They have 2 sons and 5 grandchildren.